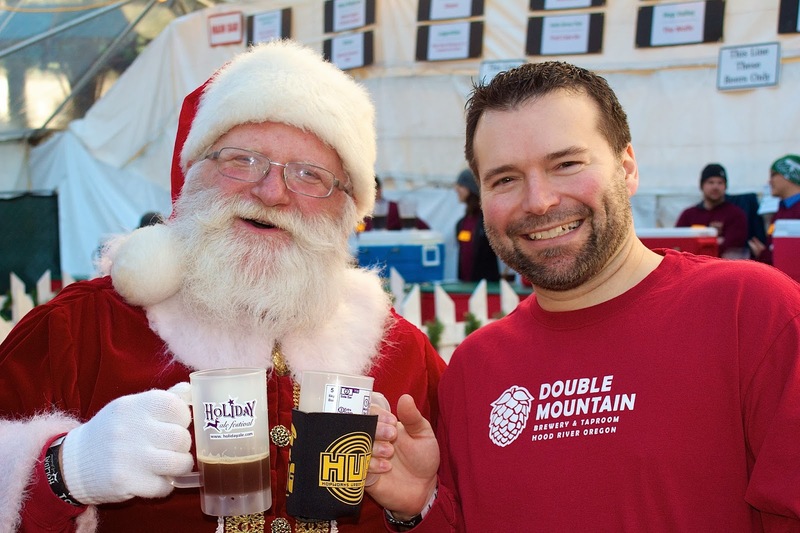 The Holiday Ale Festival (which began yesterday and runs through Sunday) often has as many hits as misses as far as the beer selection goes. Regardless everybody enjoys drinking big boozy beers under a big clear topped tents in the winter. I found myself almost overdressed for the warm greenhouse that is the HAF. The beers this year often tried to emulate desserts or winter warmer hot cocktails to more success than usual. Here is a breakdown of The Good, Worth Trying, Not So Good and the Bizarre. Of course I didn't try everything but within our group we probably got through 85% of the beers.